hahaha... 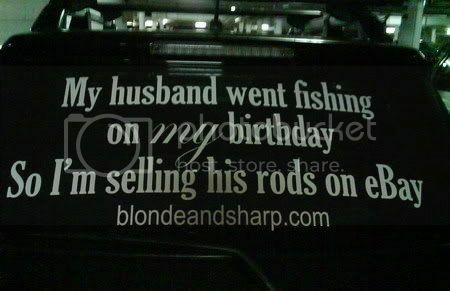 I noticed this interesting ad on the back of a car while walking towards the entrance of a shopping centre. I reckon it's quite funny, took a pic to share with you guys... ;) Very creative I must say.